Check out the latest picture of Luna where she is basically the baby version of her dad. You know how when a baby is born, everyone tries to to figure out who the baby looks like but in actual fact they just look like potatoes? Then a week goes by and they look like someone entirely different again. As they grow and change they lean towards looking more like mom than dad, vice versa or like neither one of them at all. 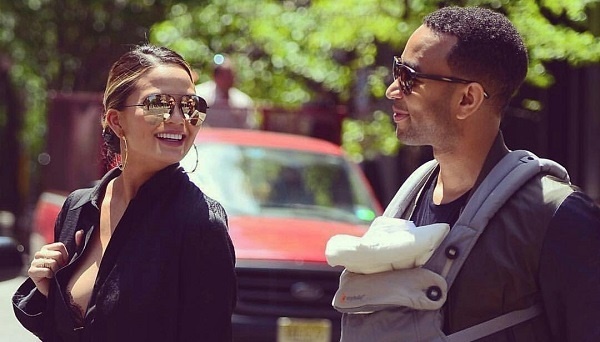 Well, Luna Simone Stephens, daughter of John Legend and the internet's funniest celeb mom, Chrissy Teigen is starting to look like the mirror image of her dad. Do your kids look more like mom or dad? Or maybe it's another member of your family. Do your kids look like each other or are they all completely unique? Send us your photos and comments to chatback@parent24.com.